MINNEAPOLIS – A cacophony of scandal serves as the soundtrack to the 2019 Final Four. Three separate federal investigations are ringing in the backdrop, with college basketball's annual marquee moment intertwined with the crackle of FBI wiretaps and the uncertainty of what comes next for an embattled sport. Four assistant coaches have pleaded guilty to felonies. A prominent basketball event organizer was arrested in an admissions scandal and charged with conspiracy to commit racketeering. Two more upcoming federal trials promise to continue shining an unsparing light on the sport's pervasive black market. 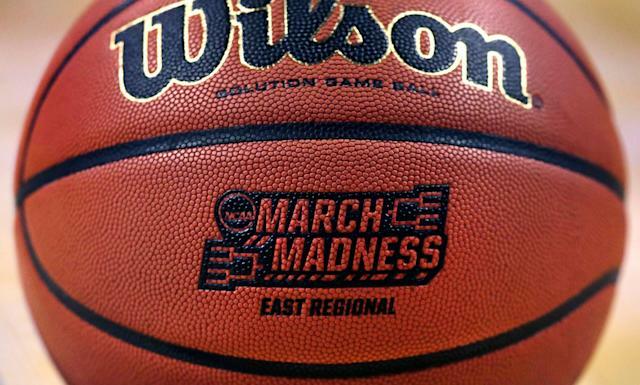 As the second full basketball season shrouded by a federal basketball corruption investigation is completed Monday, the biggest questions hovering over the sport have shifted from macro issues to micro fallout: What is the NCAA going to do about all this? How can an enforcement staff that enabled the current climate through its ineffectiveness tackle a series of cases this vast? The noisiest set of scandals in NCAA history will ultimately end up on the desk of a quiet man, vice president of enforcement Jon Duncan — his extreme pragmatism pitted against a scandal that has college basketball awash in excess emotions. Duncan and his staff must sift through the endless allegations, testimony and documents tied to the cases and end up with a fair set of findings for everyone involved. Duncan will ultimately become the face of the controversial collegiate governing body as this sprawling case completes its transition from a criminal proceeding to a matter of NCAA fact-finding and bylaw interpretation. 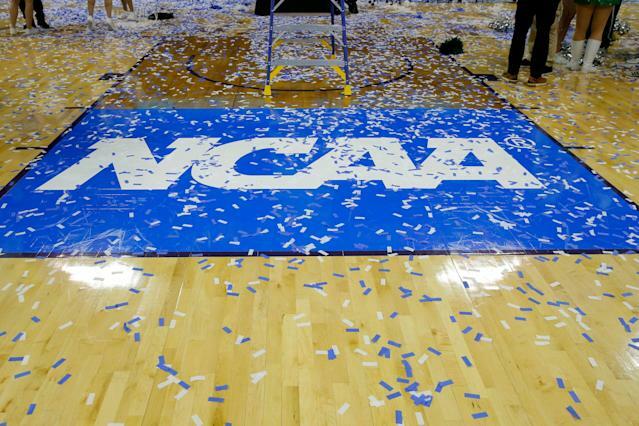 In an era where stricter punishments have been demanded by NCAA membership in the wake of the Rice Commission's recommendations last year, the only certainty is that the results will be unpopular. A majority of the college coaches not implicated in the scandal are rooting hard for scorched earth among the alleged cheaters. They want punitive results that alter the corrupt culture in which cheaters have prospered for decades with little deterrent from the NCAA. "We must get it right," said Notre Dame coach Mike Brey, the incoming president of the National Association of Basketball Coaches. "We all just feel that something has to happen this time. We've got to flush it all out or we're going to lose credibility." The potential implications weave through some of the sport's biggest brands, leagues and destinations – Arizona, Kansas and Louisville, just for starters. Will Kansas coach Bill Self survive findings that an Adidas bag man paid off two of his recruits, and an assistant coach entertained an offer to buy then-high school star Zion Williamson? Will Arizona's Sean Miller survive three of his assistant coaches facing serious allegations, including one being arrested by the FBI and pleading guilty to a felony? Will wiretaps sink a rising LSU program and suspended coach Will Wade? Will the NCAA come down hard on potential two-time offender Louisville, even after a complete leadership overhaul? How will the NCAA and its committee on infractions determine head coach responsibility, as plausible deniability has long been the default for coaches? And what about the new Nike chum thrown in the water by celebrity attorney Michael Avenatti? The ripple effect could be endless. There are so many more schools, characters and coaches that the NCAA portion of this case can touch, it requires a spreadsheet to wrap your mind around it all. The accused are screaming for fairness, and their fan bases are teeming with excuses. There has been foot-dragging at the institutional level in the face of evidence linking coaches to individuals already convicted of crimes, basically daring the NCAA to make decisions so they don't have to. There is a legion of cynics already predicting that the NCAA will fail to adequately prosecute these cases, or even adequately try. History isn't on the NCAA enforcement staff's side here. Into this overwrought climate comes Duncan, a 48-year-old Missouri native and father of two with a law background. Notre Dame athletic director Jack Swarbrick describes him as "cautious and thoughtful and deliberate." Said NCAA vice president of regulatory affairs Stan Wilcox, the former AD at Florida State, "He keeps a very level head." That demeanor should be valuable while essentially running an investigation that's guaranteed to be cast as the opposite. "You can count on every enforcement action bringing a firestorm of criticism and very little support," Swarbrick said. "That's a tough position to be in." Duncan, not surprisingly, downplays the unprecedented nature of what's facing his enforcement staff, which to date has largely been handcuffed in digging into the cases because of the ongoing federal activity. "I really try to be disgustingly responsive and transparent," he said in an interview with Yahoo Sports last month. "I also hope that these cases don't define my tenure. I'm not here, by the way, to protect my legacy. I'm here to protect the game, and we'll see where the chips fall." To many in the sport, these cases could represent nothing less than amateurism's last stand. The controversial underpinning of college athletics is up against the reality of the black market that has permeated throughout basketball, and a failure to deal with it could deal a death blow to what many see as an antiquated ideal. With those stakes clear, Duncan vows he and his staff are up to this Herculean assignment. "You may be suggesting that some in the membership feel like we're intimidated by this task and let me just tell you, we don't feel that way at all," he said. "We're confident that we can handle these cases like every other case." Jon Duncan reported to Oliver Luck for the nearly five years that Luck worked at the NCAA as one of the organization's top executives. In that time, Luck found something curious about Duncan. While Duncan liked sports and followed them, he didn't do so with a similar zeal as many at the NCAA's office. Duncan would attend Colts games with Luck, and was struck by his apparent emotional detachment from the results. "His passion is being impartial," Luck said. "He's as unfailingly honest and as straight an arrow as I've ever met." Luck described Duncan's personality as one that doesn't compute favors or grudges. He recalled a favorite line of Duncan's to illuminate his professional outlook — "We don't offer due process, we offer fair process." That ethos carries over to Duncan's persona, which Brey describes as "bookworm-ish." It's an interesting juxtaposition that the person in charge of the most controversial arm of the NCAA is so resolutely dispassionate. "I don't ever yell," Duncan said, a small smile creasing his goateed face, voice characteristically just louder than a whisper. "This is me pretty excited and this is me also pretty angry." He's not quite Spock, the famously emotionless Vulcan of "Star Trek" fame, but Duncan certainly is neither live wire nor loose cannon. Sitting in a conference room at NCAA headquarters in Indianapolis, he seems quite at home in the association's buttoned-up culture. Coworkers say he has a good sense of humor, but struggle to produce any anecdotes that back it up. "He's an unflappable individual that understands the task before him and I believe he'll be able to carry out what's expected of him," said NCAA chief operating officer Donald Remy. His heroes are his father, Don, and the late D. Brook Bartlett, chief judge in the Western District of Missouri, for whom Duncan clerked. Duncan's biggest takeaway from Bartlett was an unwavering devotion to fairness. "I wish I had a nickel for every time a losing lawyer walked up to the bench … and said, 'Your honor, I disagree with your outcome. I don't like how you ruled but I thank you for explaining it and I feel like you listened to me and I appreciate you treating me fairly.' I had no idea how impactful that would be in this role." Lessons learned from those men, plus 18 years practicing law, helped shape a temperament that Duncan sums up this way: "I learned pretty early on to avoid extremes. I don't want to get too high or too low. I don't enjoy roller coasters. And so I'd rather avoid those extremes and I also have to ask myself occasionally, 'Will this matter in a thousand years?' If not, I'm probably not going to get that exercised about it." And that fits with a job that comes with an ominous reality of needing to handle conflict and acrimony without it becoming personal: "We have to deliver bad news to be effective." Given the acrimonious nature of investigating rules violations, Duncan strives more for fairness than popularity. "At the end of [an enforcement case], I don't expect the university president to say, 'I really enjoyed that.' I do hope the president says, 'You treated us fairly.'" How will Duncan, NCAA handle scandal? Bad news is coming, that's certain. Will it be bad news for the more than a dozen schools that have been plastered in the headlines in the college basketball scandal? Or will it be bad news for the schools that have avoided being implicated in the federal investigation, seeing their competitors slide by without consequence? While the results of NCAA cases are often unpredictable, the pace of them has been consistently slow. Duncan knows that common lament and says that the NCAA has worked hard to make the process more efficient, cutting three months off the time of the average case — nearly 13 months to less than 10 — in the past two years. Despite that, the NCAA is compromised in the time element of the flurry of cases expected to come from this scandal. The breaking news in the fall of 2017 is still a long way from reaching resolution in the spring of 2019. The NCAA can't fully investigate the cases until the SDNY investigation is completed. Duncan's investigators are at the mercy of the feds, which means with two upcoming trials scheduled, it could be months before they can start what's perceived to be the most vast and complex set of cases in NCAA history. "The process is beyond our control," Duncan said. "There's nothing we can do about that." For Duncan, as the cases proceed, fairness is going to trump speed. "We want thoughtful deliberation, investigative decisions, charging decisions," he said. "So we need to be mindful of both: the interest of the membership and speedy resolutions of infractions. I feel strongly about that and fairness to those people who are involved." Under Duncan, the NCAA enforcement staff has largely been overhauled. To say it's built back the trust of the NCAA membership would be a reach, but to say that it's in a much better place than he found it when hired as the interim in February 2013 would be considered obvious to those who track NCAA enforcement. Duncan and his top assistants, Derrick Crawford and Mark Hicks, have put their stamp on enforcement with a flurry of new hires and different approaches, but Duncan acknowledges there are still doubts among the membership that enforcement can tackle the task in front of it. "I understand the skepticism," he said. "I would ask them to have confidence in the thoughtfulness, in the abilities and the talents and the resources of the national office generally, the enforcement department specifically. And in the process for investigating, and then deciding infractions cases. I would acknowledge there are absolutely violations that happen that we miss. I would let them know that we know about the vast majority of those violations." The cases that spill out from the SDNY investigation will be aided by additional tools for Duncan and his staff. That includes "importation," or the ability to take information from another process — like a trial or criminal investigation — and "use that as one data point that's helpful to examine what may or may not have happened." The NCAA has already requested documents from the October federal basketball trial, a sign of them preparing to sift through everything involved with the trials. "We're going to continue to argue aggressively that they should provide that information so we can get to the facts," said NCAA president Mark Emmert. "Since there's so much interest, not just on our part, but across the country on knowing what really transpired there." For decades, college basketball has had a subterranean reputation as a refuge for scoundrels and opportunists, a sport where rule-breaking was rampant — and the NCAA cops were seen as powerless to change that. Then the real cops stepped in, with their subpoena power and wiretaps, and the game's underground economy was exposed. Soon, the investigative process will swing back to the NCAA, landing on Jon Duncan's desk. The quiet man's navigation of this noisiest of all college sports scandals will be the ultimate test of the NCAA's ability to police itself.